The Peugeot 304s Cabriolet was introduced to the Peugeot 304 range in 1970. It followed on from the earlier Peugeot 204 convertible and featured an improved 1288cc four cylinder engine. While it only produced 74BHP, the aluminium engine block combined with a four speed transmission and the cars compact form, resulted in a sprightly yet economical convertible. Thanks to its independent suspension, front-wheel-drive and disc brakes, the 304 drove better than many of its rivals and was a successful format used by Peugeot for nearly twenty four years. In essence the Peugeot 304s Cabriolet was the baby version of the larger Peugeot 504 Cabriolet. It shared the Pininfarina styled body and though it lacked size and V6 power, it retained a certain cheeky charm thanks to its compact proportions. By the time production came to an end in 1975 over 18,000 had been built. Offered for sale is a 1973 Peugeot 304s Cabriolet requiring restoration. The seller has owned this car for fourteen years and used it until a problem occurred with the cylinder head. The head was sent off for repair but was unfortunately lost in the post. The car has remained unused as a result since then. 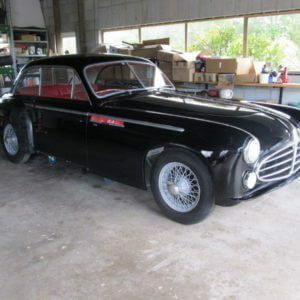 The bodywork is described as being in not bad condition and has some historic dings and dents. A black hard top is shown on this 304s and is not included in the sale, but is available for purchase. The convertible top is said to be useable but the seller recommends replacing it. Also included in the sale are some new spare brake parts, a full gasket set and a reconditioned radiator. A replacement passenger side wing is also available by separate negotiation. 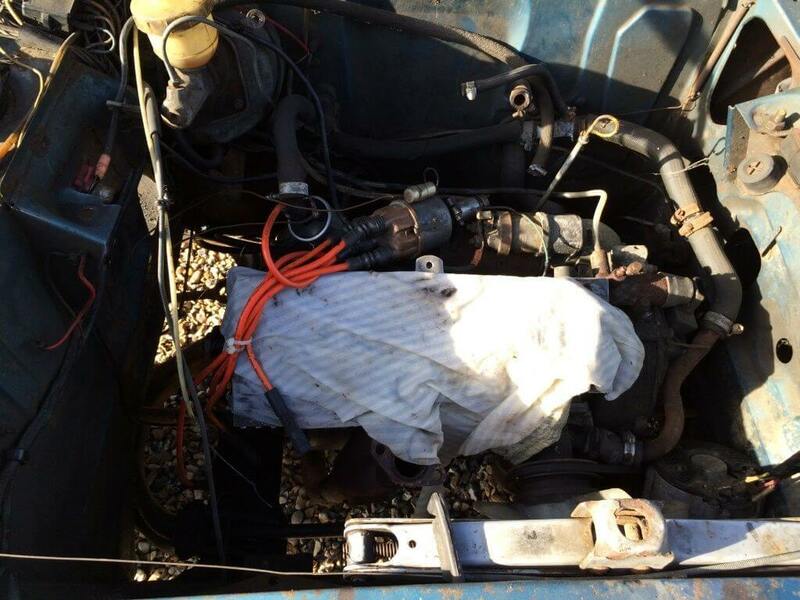 The seller also states that he has another 1975 Peugeot 304s Cabriolet for sale which has a poor body but has a refreshed engine, transmission and brakes. 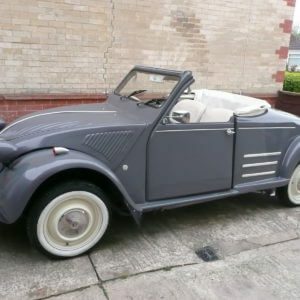 The 304 Cabriolet is one of the cutest cars ever made by the French marque. And it also has that distinctive from end that would define much of the Peugeot range for over 20 years. The hardtop looks good on the 304. You can see some of the dents on the bodywork. 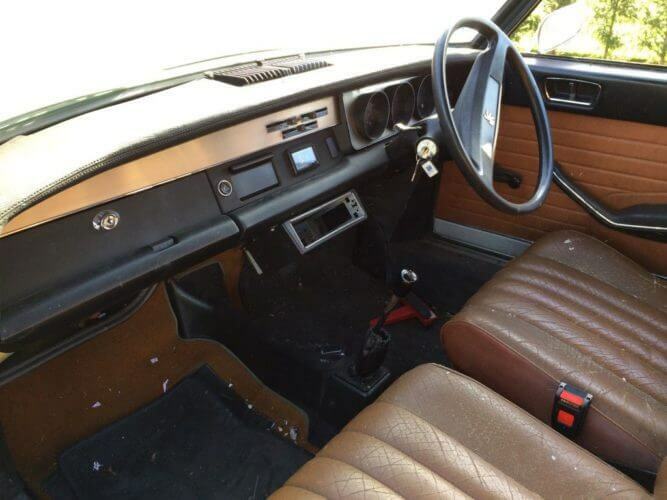 The interior looks well preserved though the buyer might want to re-trim the seats. A sight to scare most buyers. But with time and effort this engine bay could be transformed. This Peugeot 304s Cabriolet is an interesting little project. It clearly needs restoration but the body work, despite the dents and marks, looks relatively straight and rust free. 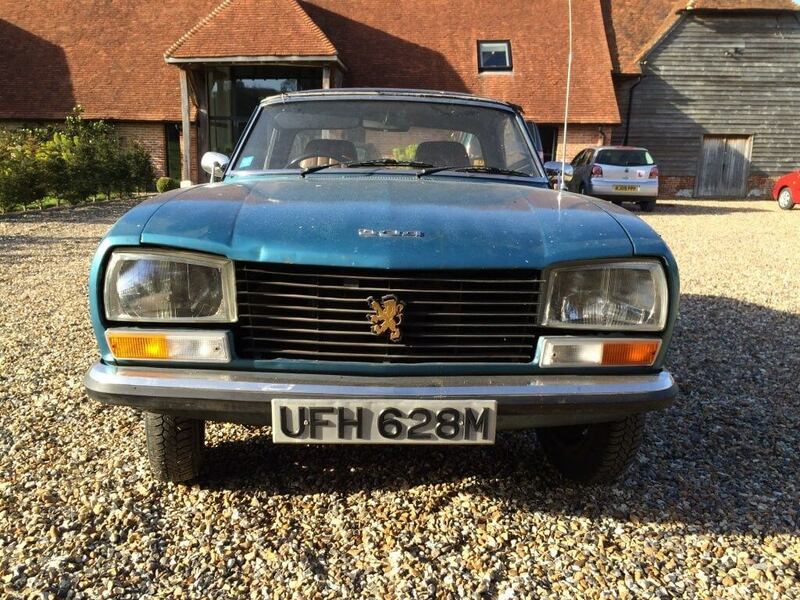 The 304 range, along with nearly all Peugeot’s of that era have a reputation for rust so finding a rot free example is rare. This particular model is a survivor, likely helped by going off the road thanks to its head failure. It even looks like it has retained its original wheels and hub caps. The interior appears in relatively good condition and needs a good clean. The seats are tired looking but again a good clean might revive them. Its period radio is also missing. Obviously the most concerning is the engine bay and the missing cylinder head. The seller doesn’t mention if the pistons are ceased or not but the block does appear to have been covered. If a replacement head could be sourced it might be salvageable. This would be preferable in order to keep it a matching numbers car. 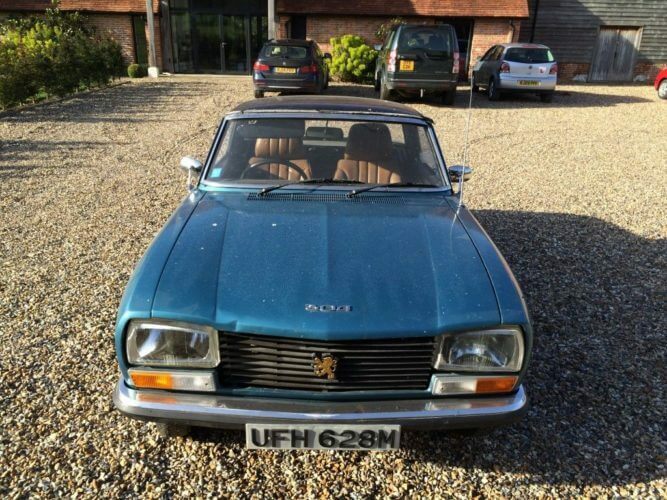 However with the option to buy the other 1975 Peugeot 304s Cabriolet with its refreshed engine and gearbox, it would make sense to swap these out. To be honest if we were buying this car we’d acquire both including the hard top and the spare wing. At least then you have covered all options and would have a reasonable parts car to work with. 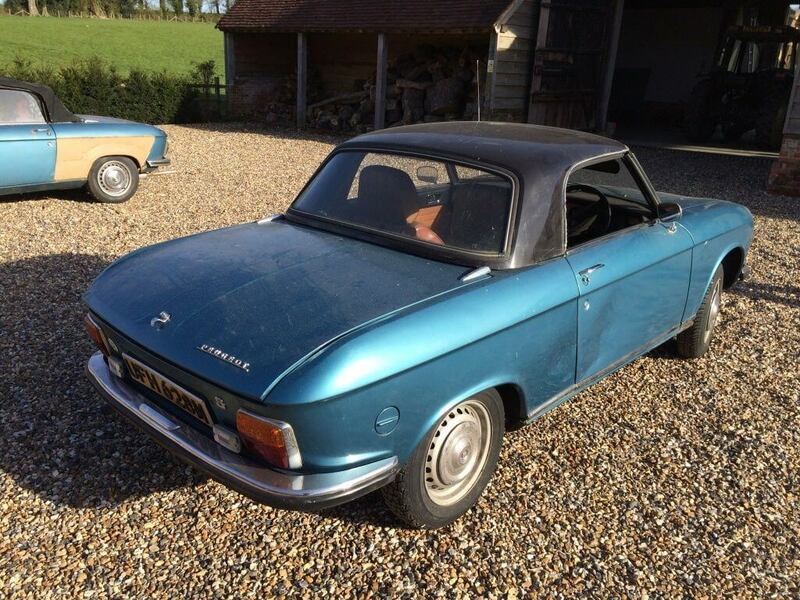 We think this Peugeot 304s Cabriolet is a worth while project and would make for a very charming little convertible once restored. 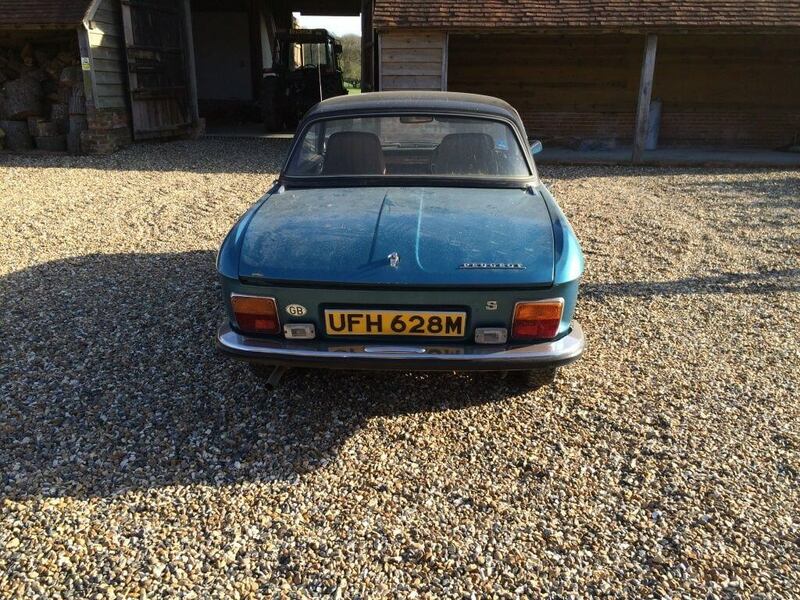 This Peugeot 304s Cabriolet is located in Basingstoke, Hampshire and the current bid is £640 with the reserve not met. The sellers other 1975 Peugeot 304s Cabriolet can also be found here on eBay.